SOCIAL UNIFICATION FROM THE REVELATION TO THE SUNNAH - GÜLEFENDİM - [ EN SEVGİLİYE ] İman, Hakikat ve Huzur Yolu..! The Quran generally reports a variety of processes which make up the historical experiences of various societies. These historical events, which are described to provide a lesson for people and as a way to make them think, despite occurring at different times and in different social structures, show the same divine goal. Values, which are constant and continuous, form the basis of the fitrat. It is possible to define the fitrat as "the unification of the nature, character and skills that human beings are endowed with as part of Allah's creation." In the Quran the fact that the social unification of human beings is part of in the fitrat and is part of the creation is expressed in the 13th verse of Surah Hujurat. The verse emphasizes that, departing from the premise that people recognize one another according to their differences, human beings are social creatures and they must live in social unity. Unification: Islam, in the Quran and the sunnah (practices) of Prophet Muhammad, introduces general rules that provide a sound base; these stretch back to the depths of the human soul and provide a perspective of the human universe on which social relationships can be established. The easiest solution to such relationships is unification. Thus, it is possible easily say that religion plays a strategic role in providing social unification among people who share the same belief. Reminder of a single forefather and a single breath: The Quran calls all people to come together in a monotheistic belief; this invitation is not made to just one nation, social environment or group, but rather is universal and directed towards all of humanity. The Quran presents this invitation as universal and often gives place to addresses like "O, people". The Quran reminds us that we have all descended from the same ancestor and were all created from one breath, employing the idea of being from the same roots to unify people. Religious brotherhood: The Quran openly stats that "all believers are brothers/sisters", calling believers to become united in love and brotherhood.People with a variety of social differences can be united in the brotherhood that is formed by Islam. Finally Islam will realize social life with the ideal community, that is, the "middle community". From the first revelation the Quran avoids using race, color, nation or language as a means of superiority and addresses all people, directing their hearts to Allah. This, in fact, is made clear in the Quran with the emphasis that Allah is the Sustainer of all of the creation. Islam establishes friendship among people, bringing the principle of living in a peaceful environment, and putting forward the intrinsic value of being human. Islam is a religion of unity and wholeness that ensures the rights and freedom of the individual. At the same time Islam also ensures collective prosperity. While doing this, Islam takes human beings themselves as the basis, both economically and morally. Helping one another in good things, avoiding bad things: This principle, which forms one of the most dynamic commands of Islam, encapsulates the entire social system. What is bad is the opposite of what is good; that which is bad is that on which every sane mind agrees, that which has no place in the gentle hearts and that which is declared as being bad in the Quran and the Sunnah. Taking a wider approach, what is good and what is evil are those things that have been determined as being so in Islam and in the gentle hearts that house Islam. That is, those things that bring good or evil to society are good or evil, respectively. Throughout human history Allah sent one prophet after another; each prophet informed the people of what was good, what was evil and how they must act. They told people about those things that Allah had commanded, that He had made law and which had now become social rules or positive traditions. The Quran accepts this social phenomenon as the basis of society, and frequently expresses this fact. "Let there arise out of you a band of people inviting to all that is good, enjoining what is right, and forbidding what is wrong; they are the ones to attain felicity." This verse orders good and forbids all forms of evil, putting a responsibility on the believers. If there is no one in society to order good or forbid evil then gradually evil actions become the norm, that is, they become a way of life. This situation clearly can be a cause for social disintegration and collapse. To ensure a social unification and solidarity that is lively and continuous among Muslims is only possible with the dynamic of Islam, which acts as insurance in the name of social unification. Sustaining Others and Balance: Extreme wealth and luxury is where justice and balance between people finishes. The Quran considers luxury, display and ostentation to be sources of ingratitude and negative behavior, and it demands a fair and balanced social order as an alternative to luxury. It is the pursuit of luxury that results in imbalanced social positions. Extreme wealth encourages complete devotion to the material world and extreme extravagance destroys the social balance in society. It is not possible to ensure social contentment or unification within society in this way. This does not mean that poverty - frequently mentioned in the Quran with allusions to the poor, destitute or needy - is a matter that will never be solved. In a few places in the Quran maintenance is expressed not merely as the occasional donation or charitable act, but as the actual right of the needy and poor. Traditions act as some sort of communal will, affecting us and our behavior; tradition is the norm that is not enforced by the law. Commitment to tradition is a characteristic seen in almost every society and traditions form a second nature for humanity. When one looks at the pre-Islamic Arabic society, which was over-committed to traditions, the perfect social unification that the Quran and Prophet Muhammad brought about is even more amazing. 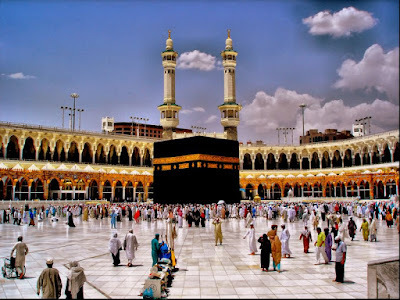 The Emigration: With the event of the emigration, which is frequently praised and shown as an example in the Quran, the Muslims of Medina and the Muslims of Mecca, who immigrated with the Prophet to Medina, were declared to be brothers. This brotherhood was introduced to secure a place for the homeless, landless Muslims who had come to Medina. The Muslims brothers and sisters were able to secure a livelihood by sharing their property and income between themselves. In this situation, those who had immigrated to Medina were provided with homes, family and employment. This event formed a universal model to demonstrate to all what Muslim brotherhood consists of. The Example of Evs and Hazrej: Evs and Hazrej were two large tribes in Medina; until Prophet Muhammad arrived in Medina these tribes were enemies. Many people had died in the "Buas Wars" which had lasted a hundred years. Later these two tribes accepted Islam. Due to the instigation of Ash'as b. Kays the two tribes fell out again; just as they were about to start fighting Prophet Muhammad managed to soothe both sides. The following verses were revealed in connection with this: "For ye were enemies and He joined your hearts in love, so that by His Grace, ye became brethren." Practices of Worship: The principles which are presented as an ideal took on life with the practice of worship. In the final analysis, it is possible to find and multiply examples in the Quran that are directed towards social unification. Actually, when the matter is looked at from the aspect of unification, all the orders, bans, recommendations, the compulsory prayer fasting, charity, pilgrimage, the sacrifice of animals, in short, all forms of worship found in the Quran, can be expressed as factors directed towards providing social unification. The prayer provides an opportunity for people to come together five times a day, to stand in the same lines and thus becoming unified. The unification of all believers who are in the same social environment is consolidated one day a week with the Friday prayer. The pilgrimage provides social unification of people from different nations and races; those who have different socio-economic conditions throughout the world gather for this occasion. Fasting is important from the aspect of unifying people despite differences in social standing. Zakaat is also important from the aspect of social unifications; there is great importance from the aspect of those who give the zakaat and those who receive it. In many different regions of the world the rich lose themselves in incredible luxury and extravagance while the poor, who were the means by which they secured their wealth, are not thought of; the fact that the wealthy do not stretch out their hands to help the poor causes the latter to feel envious and resentful. The result of this is social unrest and disruption. Zakaat is the best barrier that can be erected against all such negative events.